Created in collaboration with Stylonylon, our Compass Collection has taken inspiration from around the world. Handmade in London, it works perfectly with a wide range of outfits and makes a meaningful and beautiful present for the ones you love. 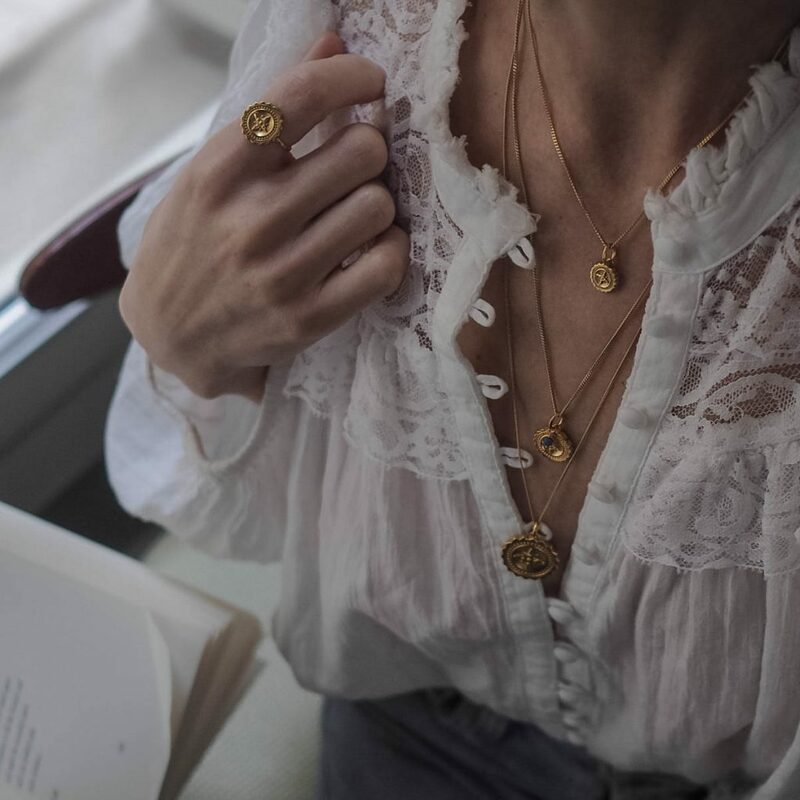 If you’re lucky enough to have a Compass necklace or are thinking of buying a piece from the collection, here are a few ideas for how to wear your new jewellery. 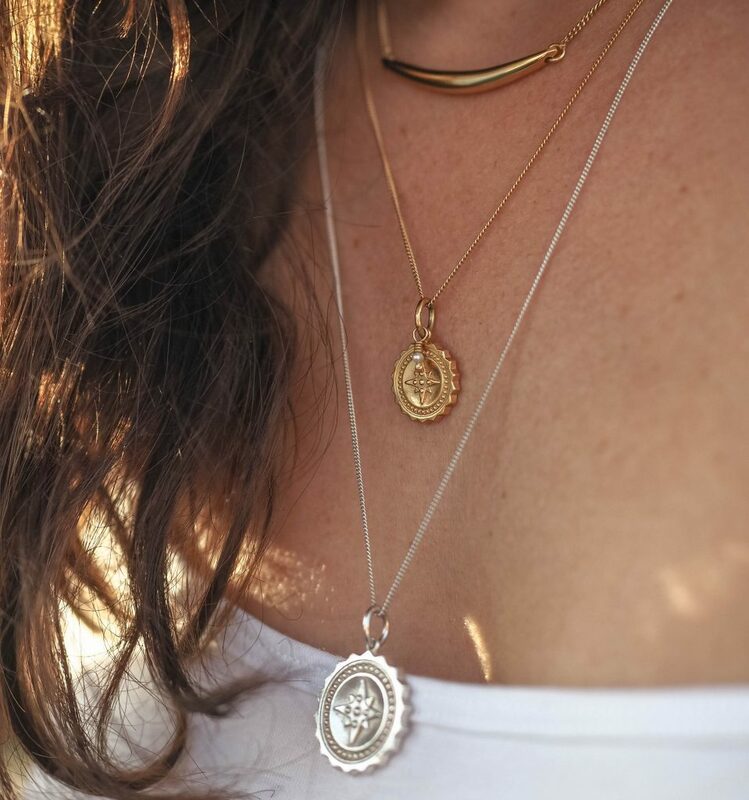 If you want to make an instant statement with your Compass necklace, opt for one of our larger designs. This beautiful piece comes complete with a small garnet. The vibrant pink hue of the garnet makes the jewellery even more unique. 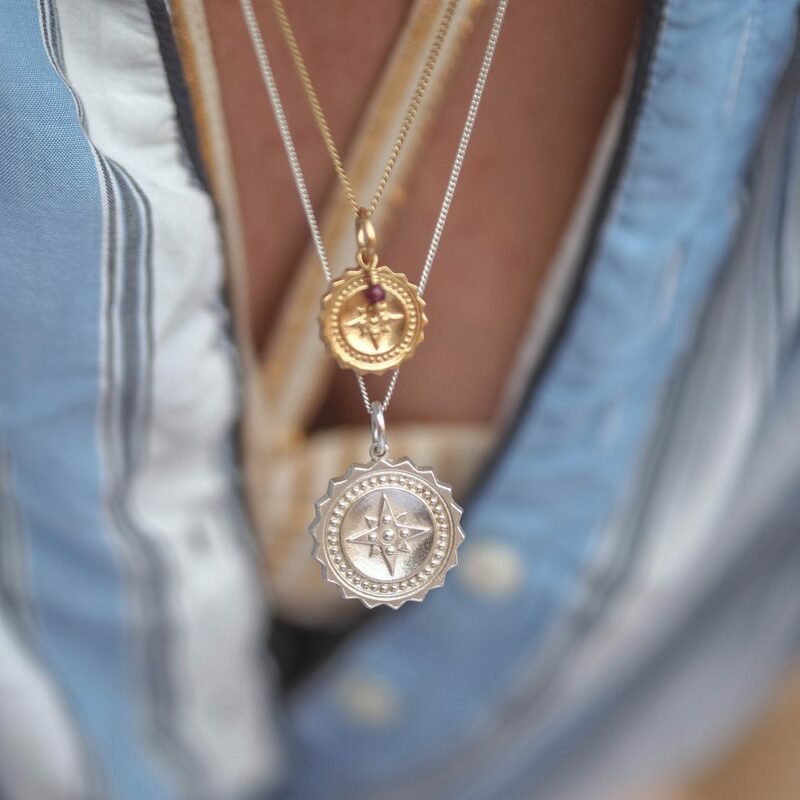 Match this larger Compass necklace with outfits that complement the garnet colour. As garnet is the birthstone for January, this piece makes the perfect gift for anyone born early in the year. This solidly carved pendant has a beautiful freshwater pearl attached to the chain. Like other pieces in the collection, it’s available in either gold or silver and comes with either a 16 inch, 18 inches or 20-inch chain. Allowing you to find the length that sits perfectly with your favourite outfits and that best suits your neckline. The same size and weight as the Compass Midi Initial Pearl Necklace, this eye-catching piece is made unique by the addition of a small piece of lapis lazuli. Thought to offer many enlightening properties, lapis lazuli has been used to decorate jewellery and clothes for millennia. Accentuate the lapis lazuli in your necklace by matching the piece with rich blue outfits and other complementary jewellery. The perfect gift for the traveller in your life, this small but beautiful piece will help ensure your loved one always finds their way home. 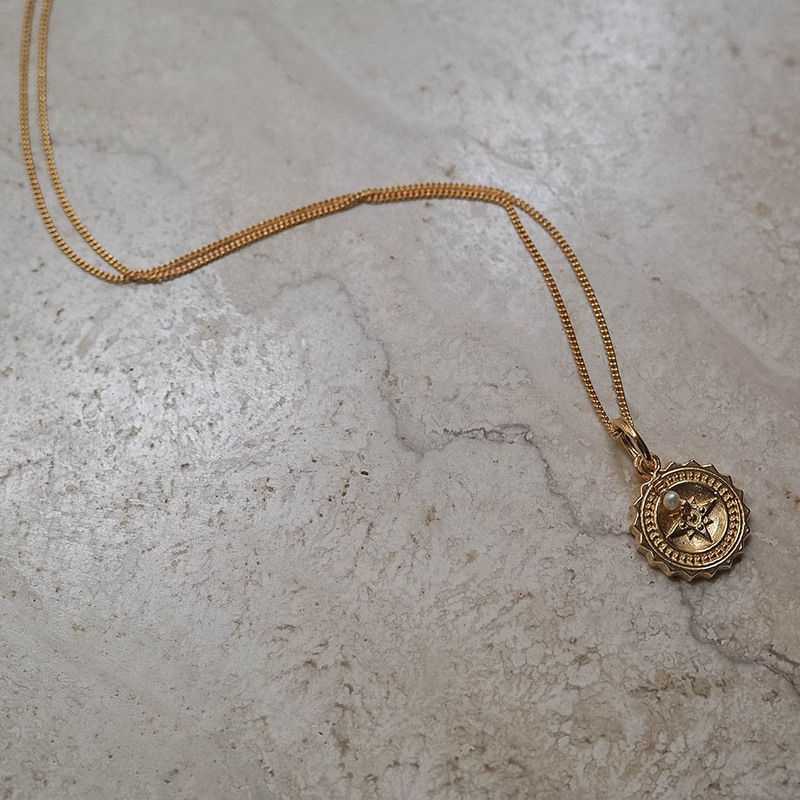 Available in gold or silver, this small but meaningful necklace is perfect for those looking for simple and attractive pieces for their jewellery collection. 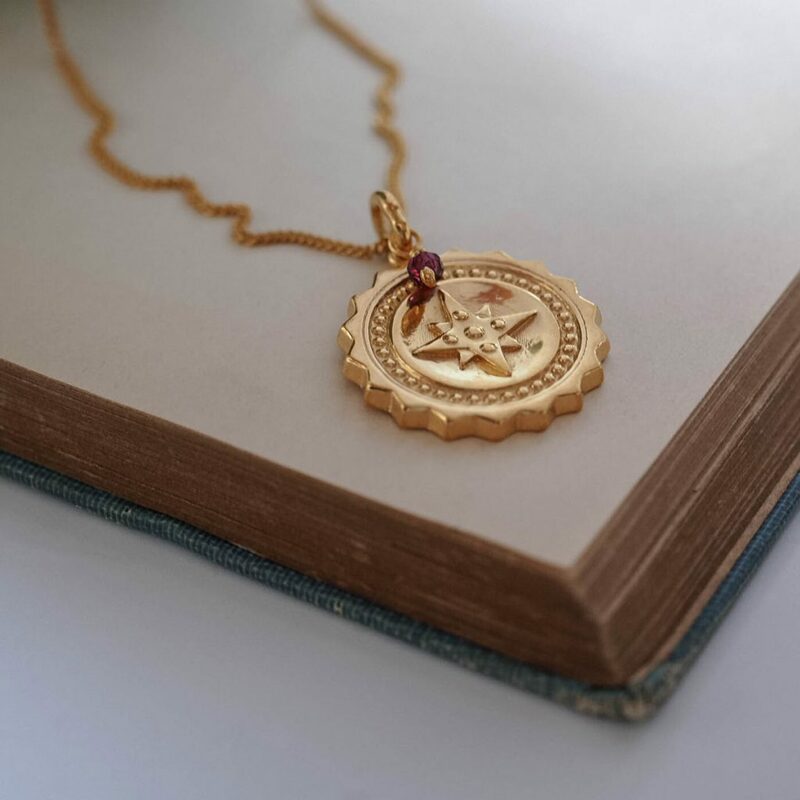 If you want something simple, attractive and eye-catching, the Compass Large Initial Necklace could be a perfect choice. Have your initials, or the initials of your loved one, carved on the reverse side of the necklace to give the piece even more meaning. This larger Compass necklace comes with a freshwater pearl and makes a real statement. The perfect choice if you like your jewellery to be noticeable and stylish, it will complement your outfit perfectly. 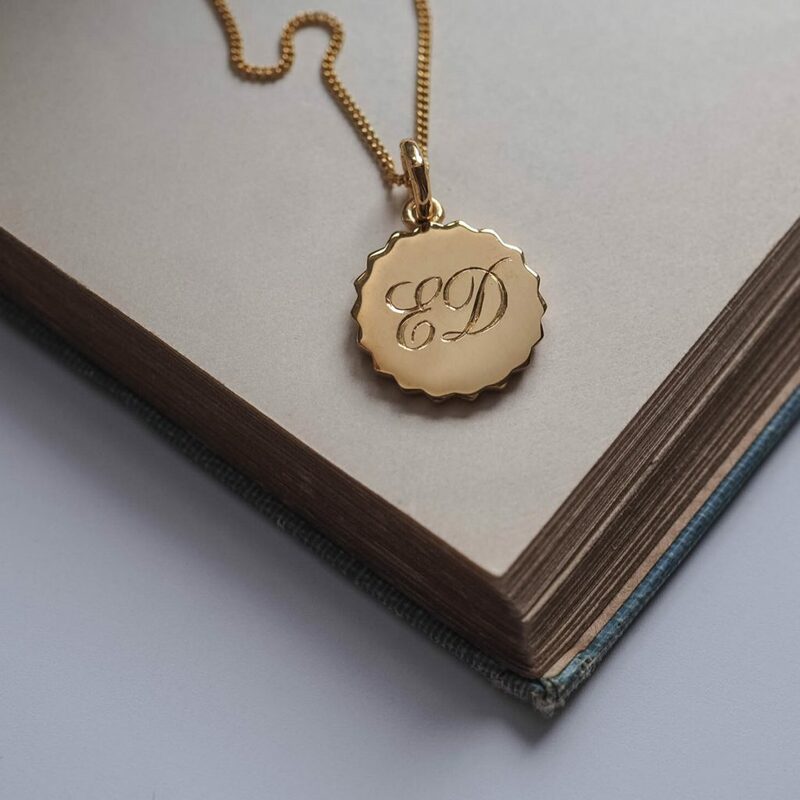 Personalise this eye-catching necklace with your initials or the initials of the person you’re gifting to. This will make a piece that’s already very evocative even more meaningful and will show your loved one you care. A great alternative to a Compass necklace is a Compass bracelet. Beautiful and delicate, it’s available in either gold or silver and comes with a small piece of lapis lazuli attached. Explore the rest of our stunning Compass Collection by taking a look around our site today.